Join me and co-host Hans Roy as we discuss the latest in Haiti news and blogs, including the latest DR protests and various NGO misdeeds. 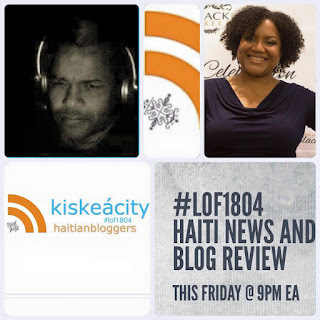 Listen live or archived at http://www.blogtalkradio.com/pancaribbean/2015/07/04/legacy-of-1804-haiti-news-and-blog-review-haiti-lof1804. Or listen live on the phone at (714) 242-6119.